Who are five video game characters that you would never want to meet in real life? This slimy jerk is willing to betray and murder people he once called friends in order to steal prestige that he has not otherwise earned. Like me or hate me and I can respect that. Be willing to stab someone in the back to improve your position, and I have no tolerance for you. Especially if that last statement is literal. Another character who is too wrapped up in his own life to really take a look at the world around him and accept it for what it is. If you’re so unstable that you destroyed your people during a temper-tantrum, and then want to destroy the world again and literally kill everything in existence because that will somehow make it better and you’re way too arrogant to actually think any of this through, you’re not invited to sit at my table. I’ve talked about this guy before. I don’t think he’d get one word out before I would want to throw a shoe at him. He just grates on me, as I talked about in the linked post. 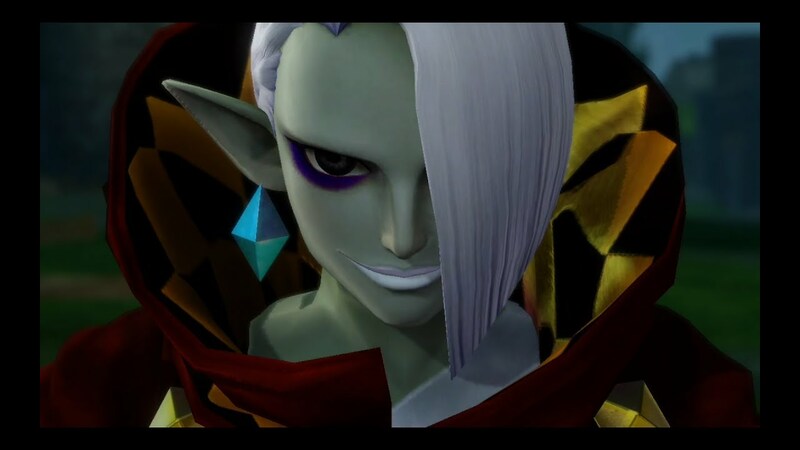 I’d rather meet Fi or Navi than have to deal with this guy in real life, never mind that he’s narcissistic. And, you know, dangerous. This guy… He is not someone I would want to ever see in real life. An unstable, power-hungry guy with no problem with killing his own people, and – admittedly less important – has no regard for personal space? No thank you. This was a surprisingly easy list to come up with, and I have to admit that even I’m surprised that the reasons I chose these folks was not because, you know, they’re incredibly dangerous and unstable (with the possible exception of Fi), but I think they’d just be annoying people to deal with. What about you? What video game character(s) would you absolutely hate to meet in real life? Is it because they’re dangerous, or would your personalities just conflict? Let me know in the comments! As base as he is, at least Howe’s plans have some logic. It’s a cowardly plan, but it makes sense: 1) Kill Couslands; 2) Poison Loghain’s mind; 3) Take over the dissenting arlings; 4) Profit. Meanwhile, Solas betrays his best friend so that he can fix the mess he made while avenging said friend. Dude didn’t think things through. The Allied AI from I Have no Mouth and I Must Scream is the one character I’d never want to meet. Mostly because if I did, that’d mean eternal torture at the hands of a sadist AI. To be honest, I wouldn’t like to meet any human characters from I Have No Mouth either. You can say that again. I couldn’t finish the game, but I read the novel and the game’s plot synopsis, and wow. Seriously it is the bleakest game I have ever played. Nope. I agree with this. I think I’d just want to punch Howe in the face, like, all the time, though. Even if he *did* sound like Tim Curry. Solas is a jerk, but the only reason he’s not higher up is because I’d love to have a philosophical conversation with him…. Yep, I’ll go with that one. Yikes…. 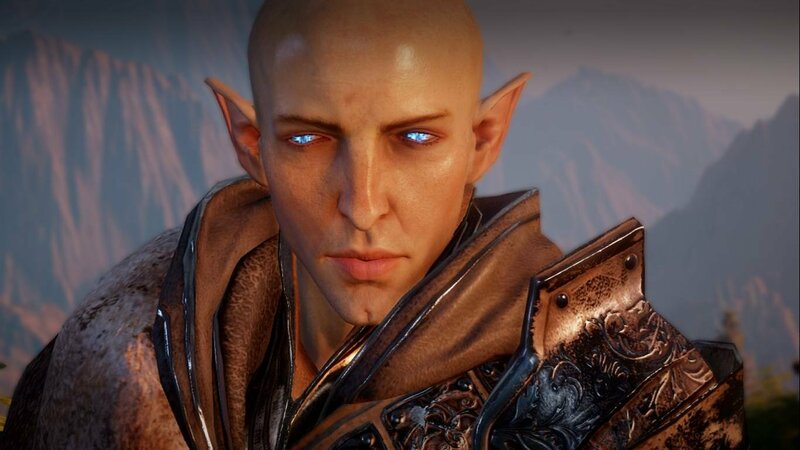 Howe is much more hateable than Solas, truly, but boy, does Solas make a lot of bad choices for an immortal elf of great wisdom. Also, “Is this character voiced/acted by Tim Curry?” is a good test to figure out if said character is duplicitous, IMO. Yeah. It is a horrifying game and I don’t think I was able to play even 5% of it. I’m not sure I have a list of characters I wouldn’t want to meet. But I do suppose it all depends on the where/how/why I’d be meeting them. I mean, there are certainly characters that I wouldn’t want to run in to in a dark alley but in the right environment, I’d love to pick the brains of some characters. That’s cool, though! Whose brain would you want to pick?? I’ve only seen a bit of the Stanley Parable, but I’d agree with that. Ashley… oh yeah, she’s pretty judgy, but I think she’d be a hoot to get a coffee with!! I’m not sure who I wouldn’t want to meet though I’m going to be thinking about that now. I like your choices and reasoning. I would definitely hate to meet a Reaper from Mass Effect in real life, for obvious reasons. Also if I met Lightning in real life, I’m pretty sure we’d get in a fist fight, haha. We are too stubbornly similar, I think. Well, yeah. A Reaper would probably be a thing to avoid, too. Meanwhile, Fang and I would just sit there and place bets on who we thought would win. And now I have to ask… who’s your money on?? Haha. My money is obviously on the opposite person Fang is betting on.